Sometimes we can draw inspiration from art, too. 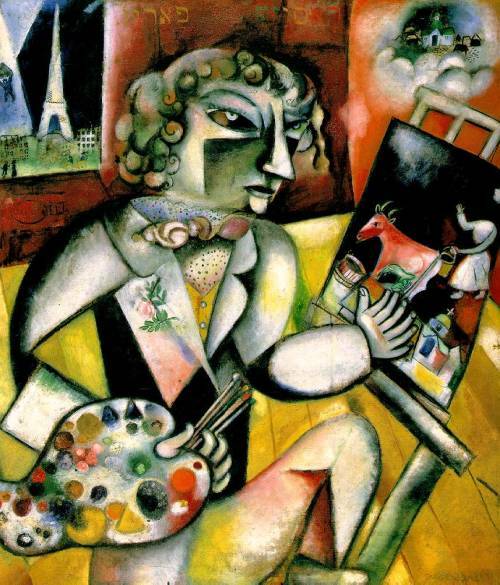 Marc Chagall was a Russian-French artist associated with several major artistic styles and one of the most successful artists of the 20th century. He was an early modernist, and created works in virtually every artistic medium, including painting, book illustrations, stained glass, stage sets, ceramic, tapestries and fine art prints. The next time I learn a weblog, I hope that it doesnt disappoint me as a lot as this one. I mean, I do know it was my option to learn, nonetheless I truly thought youd have one thing intriguing to say. All I hear is really a bunch of whining about something that you may repair when you werent too busy searching for attention.